“(February 11, 2017) – Good Day, this is “Your Radiation This Week” for the past 2 weeks. 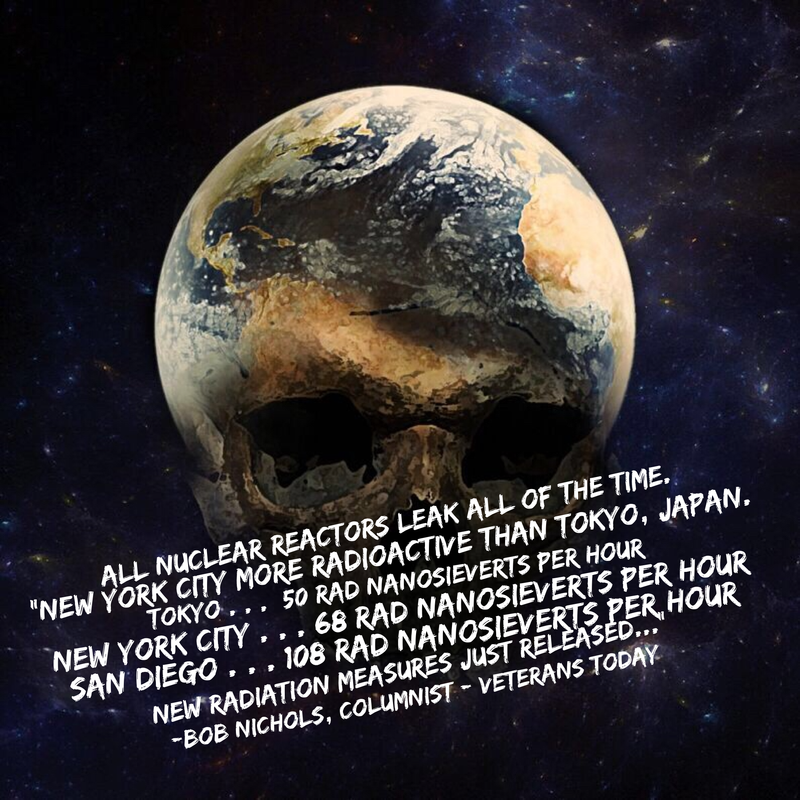 These are the Recorded Total Gamma Radiation Highs that affected people around the United States. YRTW is published every two weeks on Saturday. The next publication dates are February 25 and March 11, 2017…. 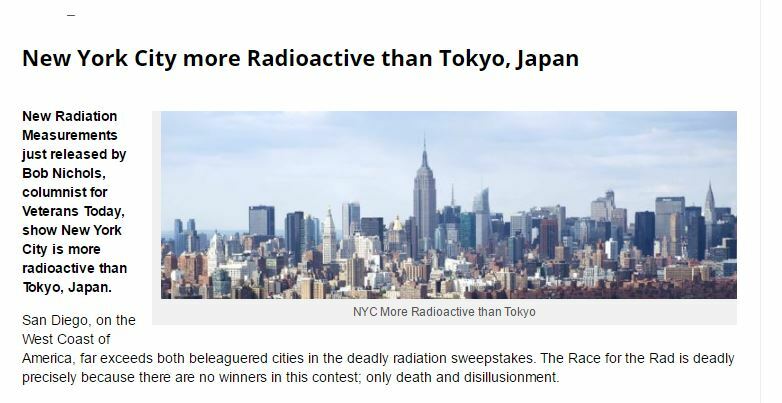 “New Radiation Measurements just released by Bob Nichols, columnist for Veterans Today, show New York City is more radioactive than Tokyo, Japan…. “Follow Bob Nichols on Blog, Twitter and YouTube now.